GOKPOP | Exclusive K-News in Malaysia & Singapore: BTS To Take Singapore by Storm on 19 Jan 2019! Souncheck Benefits + Lucky Draw for CAT1 Purchaser! 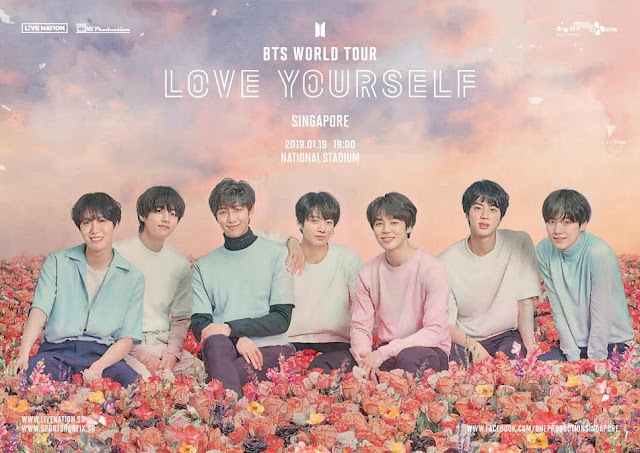 BTS To Take Singapore by Storm on 19 Jan 2019! 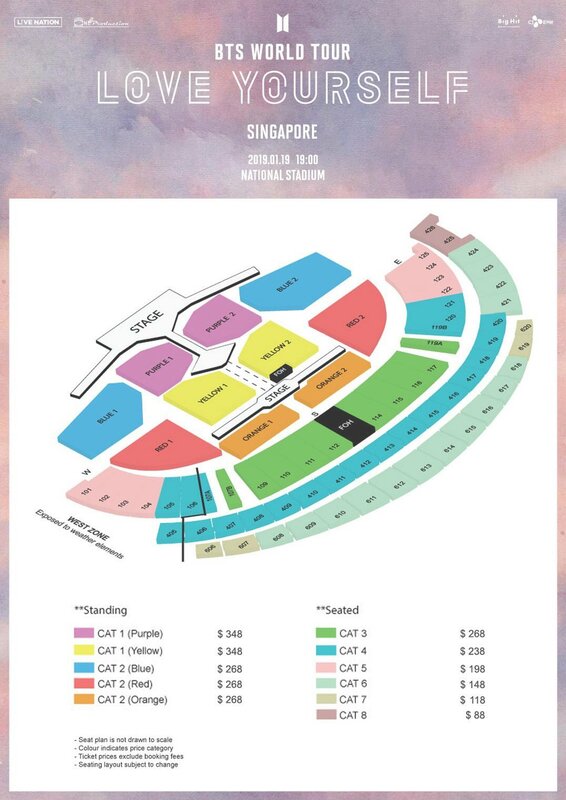 Souncheck Benefits + Lucky Draw for CAT1 Purchaser! There’s no better way to start your 2019! The world’s biggest and most popular boy band, BTS will be taking Singapore by storm for their world tour LOVE YOURSELF on January 19 2019. BTS, who have been unanimously dubbed the world’s biggest boy band, will make their grand return to Singapore for their first solo concert in over four years for the BTS WORLD TOUR ‘LOVE YOURSELF’. The septet will be making history in Singapore on January 19 as the first Korean act to ever play at the iconic National Stadium! Hotline: +65 3158 7888 - Kallang Wave Mall Sports Hub Tix Box Office and all SingPost outlets. Please note that there will not be a pre-sale for this concert. Please refer to this post for full F.A.Q released by One Production in regards to the concert. If you are looking for t shirt that can suit to your different pants then you must buy bts t shirt for sale. The t shirts are made of soft fabrics so that you will offer you comfort and at the same time it will be within your budget.